Cave paintings tell the oldest tales. Charcoal impressions of a Neolithic age. Ancient stone stories echo authors past. Symbolic of the writer’s rocky path. What siren song do fissures sing? Elusive, mutable—so close, yet out of reach. Can anybody hear you? See you? Or do you speak only to my soul? Hidden deep, in crevasses unknown. Only found in shadows, on lichen-crusted clefts. Under a winter’s sky—cold and blown. Echo shots creation brings, broken and rebuilt. Etched in deep, where all words hide. No one knows what they may find. When broken from the rock, words flow. *I wouldn’t ordinarily have a footnote to my poetry. But I’ve never had this happen before. I don’t know what to call that little slice of word jumble at the top. I tried leaving it out and that felt wrong. I tried putting it in…even wronger. Is it a foreword? A prelude? A prequel? I’m not sure what to call it. So, I’m not calling it anything. It just is. And I hope that is enough. What is it with Nell’s fascination with Dudley’s horse? I mean, what kind of subversive deviants wrote this script? I have been puttering around Chapter One of this year’s Nano project (Book 3 of a mostly-incomprehensible trilogy) because I have been dreading writing about the bad guy. Last night I took a stab at it. (I’m surprised my laptop isn’t bleeding.) But I find it really difficult to even want to write the parts of the book that involve conflict. No wonder Quentin Tarantino has so many guns and swords in his creations…there’s something about an antagonist that is so…so…antagonizing! Stories resonate because of conflict. What would Star Wars be without Darth Vader? Who would breathe heavily into our ears and make us wish we had the light-up phallic symbol to battle our fathers with? (Uhh, that got kinda weird. Sorry ‘bout that.) What makes a perfectly rotten character so good? My favorite villain of all time would be just about any character played by Alan Rickman. He just has such a flair for it. His best line ever, was when he played the Sheriff of Nottingham in the dreadful Robin Hood production starring Bull Durham. Following an incredibly vexing day, Nottingham stomps down the halls of the castle yelling: “Cancel the kitchen scraps for lepers and orphans, no more merciful beheadings, and call off Christmas!” Even when he plays a good guy, like the bulbous-headed alien in Galaxy Quest, he gets to be the snarky sidekick who makes all the astute observations about the narcissistic Captain Nesmith played by Tim Allen. Don’t get me started on his bad boy, Severus Snape. 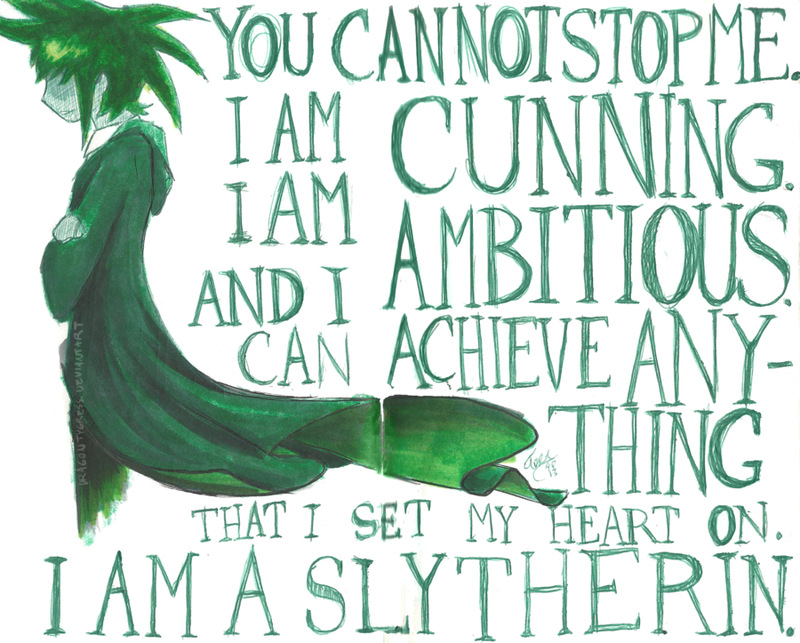 * He could make a girl go all Slytherin! Uhh, where was I? Oh, right, building the perfect bad guy. Everybody loves to hate the bad guy. They give the story depth and flavor. They get all the best lines—if not the girl. They are usually the more exciting character—heroes tend to be all alike in their sterling qualities. As a writer you have to examine the development of both halves of the equation: Is a valiant, brave, but predictable leading man bringing your book down? Bring on the sly, devious lothario to ripen up a flaccid plot. If he looks good in tight leather—bonus! 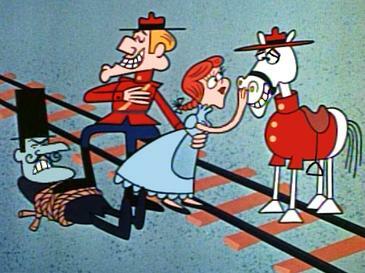 It is very hard to create a villain that isn’t a one-dimensional Snidely Whiplash standing over the girl tied to the railroad tracks**, twirling his mustachio and cackling “I’ve got you now, Dudly Do-Right! Mwa ha ha ha.” Everything I write seems to be a challenge to my desire to make an unredeemable villain who isn’t a cardboard cutout. When I have to write about the motivations or methods of my current villain, I am repelled delving into the monster I have created. Am I alone in this? **Who knew this was a fetish? Welcome To Autismland: Population YOU!